The mission is to make the manufacturing process simple to understand and easy to access. 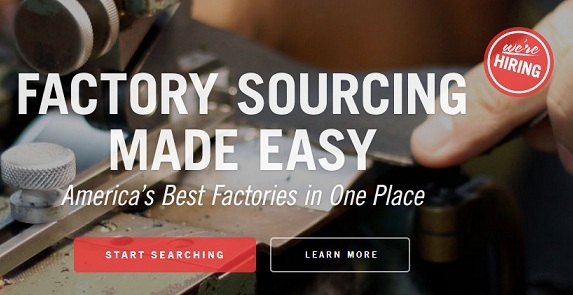 From large corporations to first time designers, they are providing unparalleled access to industry-specific factories and suppliers across the United States. The first industry target is apparel and accessories. You can search for factories by production stage, product category, and location. Then, you can view profiles of relevant facilities, including pictures, customer reviews, contact information, and estimated turnaround times. To visit the site, click here. To read more, click here. Tags: Factories, Maker's Row, Manufacturer, Matthew Burnett, Scott Weiner, Tanya Menendez. Bookmark the permalink.